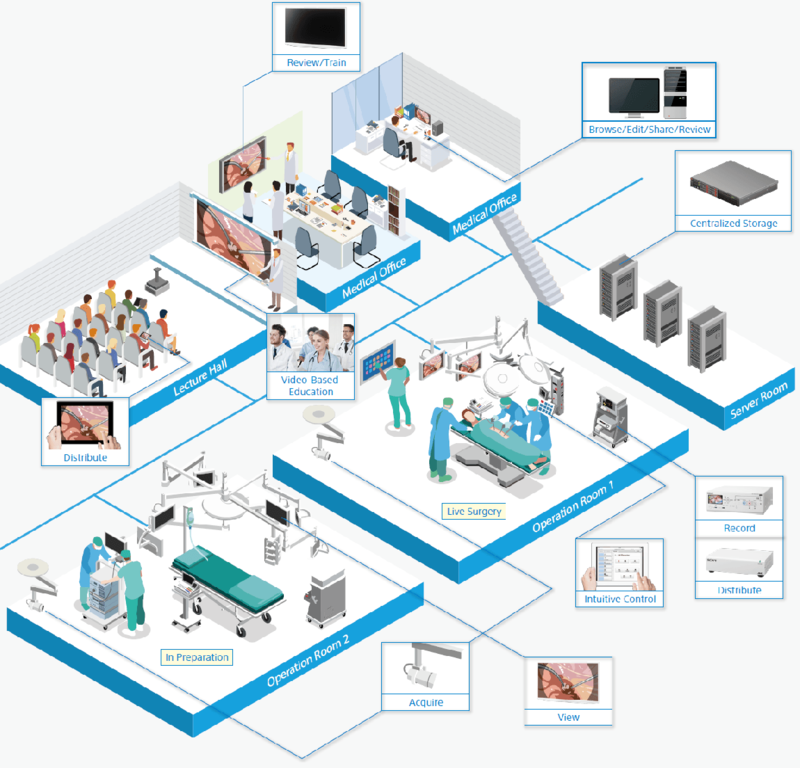 The Sony Content Management System (Sony CMS) is a smart operating room video workflow manager. Sony Medical Content Management System (CMS) is a centralized medical assets management system. This system can archive video, still images, and documents effectively and can enable easy and secure access to them throughout a hospital’s network. This becomes a central repository that’s more efficient and secure than removable media. The Sony CMS can store video content shot in multiple O.R.s for re-purposing and re-use. Thanks to associated patient information, content is easily searchable via PC, Mac®, or iPad®. Sony CMS also provides a near real-time monitoring function for sharing the live camera in the O.R. Authorized personnel can view activities in the O.R. from secure remote locations within the hospital’s network. • Comprised of a dedicated professional server pre-loaded with Sony CMS software. • Fully scalable and expandable as the facility’s storage needs grow. Designed for exclusive use with NU-IP40S/D IP converters, the Network System Manager software package controls the destination of video output. Along with the IP converters, the Network System Manager manages the IPCs and allows operators to easily route videos to destination devices, via an O.R. controller.